Our 2019 Hamfest will take place Sunday 24th March, at the Great Ryrie Primary School, Heathmont. 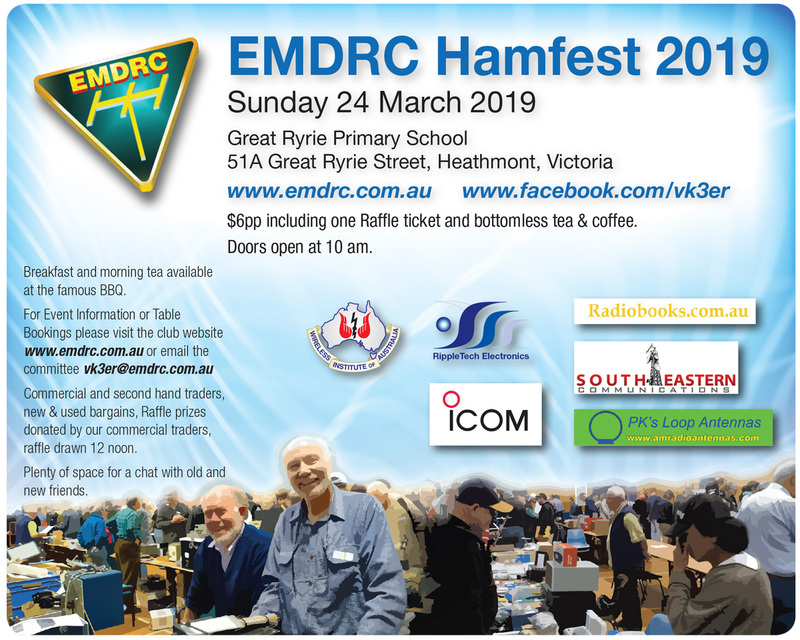 The clubs annual hamfest is fast approaching, Sunday 24th March 2019 at the Great Ryrie Primary School – Heathmont. $6 per pp including one Raffle ticket and bottomless tea & coffee. Hall opens at 8am for trader table setup. Hamfest doors open at 10am. NO EARLY CUSTOMER SALES.